Associated Press: The development reflects the complex layers of the insurgency in Afghanistan, where though dominant, the Taliban are not the only militant group waging war. The video, obtained by The Associated Press, says that Mullah Emdadullah Mansoor was named leader of the faction known as Mahaaz-e-Dadullah. 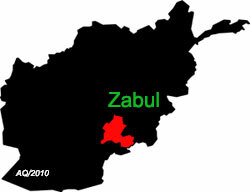 The appointment came at a gathering Monday in southern Zabul province. The meeting was attended by tribal and religious leaders, as well as the group’s local commanders. Click here to read more (external link).